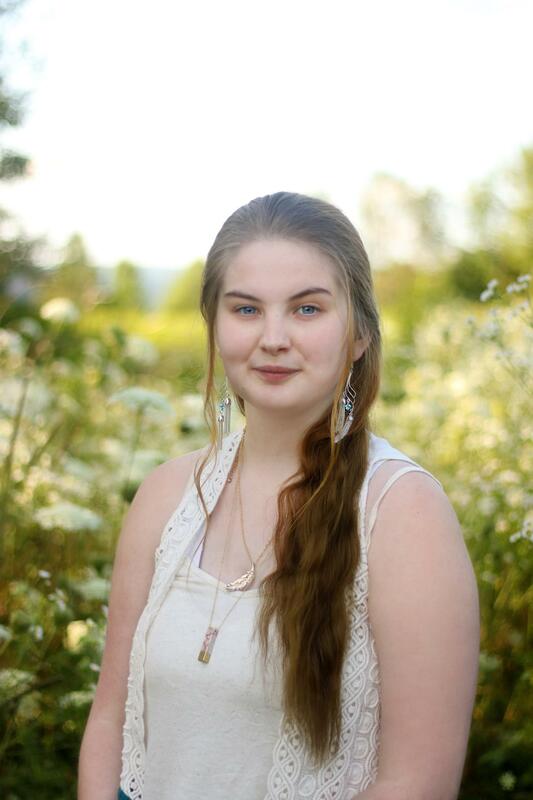 The Otselic Valley Central School district valedictorian for the 2017-2018 school year is Victoria Roalef. She is the daughter of Jeremy Roalef Sr. of South Otselic, New York and Tavia Roalef of Kentucky. Throughout her years at OV, Victoria has been a member of Student Government and a positive role model for her fellow classmates, community, and family. This year Victoria decided to participate in the EDGE Program offered through SUNY Morrisville to be considered a half time college student for the 2017-2018 school year. Throughout her high school career Victoria has completed over 40 college credits and will graduate with a combined GPA over 100.00%. Her dedication and drive has not only led her to tremendous success, but inspired others around her to be the best they can be. She plans to attend SUNY Potsdam with a focus in creative writing and psychology. Congratulations, Victoria. The Otselic Valley Central School district salutatorian for the 2017-2018 school year is Whitney Hamlin. She is the daughter of Jerry Hamlin of Norwich, and Tammy Hamlin of South Otselic, New York. Throughout her years at OV, Whitney was highly decorated with numerous highest GPA awards, Varsity letter holder and team captain for soccer, softball and cheerleading. Whitney is a positive influence and very involved in her community. Whitney went above and beyond OVs already demanding community services requirement to complete almost 60 total hours. Whitney also completed 24+ college credits while still excelling in the highly demanding NYS high school graduation requirements. She plans to attend SUNY Cortland with a focus in communication studies. Congratulations, Whitney.